I love spring, y’all. The whole earth is telling the story. Death isn’t the end. Things may look bleak and winter may feel long... but life is coming. Hope is coming. When I see flowers start to shoot up out of the ground and little bright green buds of leaves on the end of brown branches, I am reminded we have good reason to hope, because the Lord will be our everlasting light. May I remember this when I am in seasons that feel like a LONG winter, when I am in places that feel SO bleak and cold and dark... that spring is coming and that God’s light is ultimately stronger than any darkness I will ever face. May I remember that because of what Jesus did on the cross and because the grave is empty, death and darkness never have the final word. 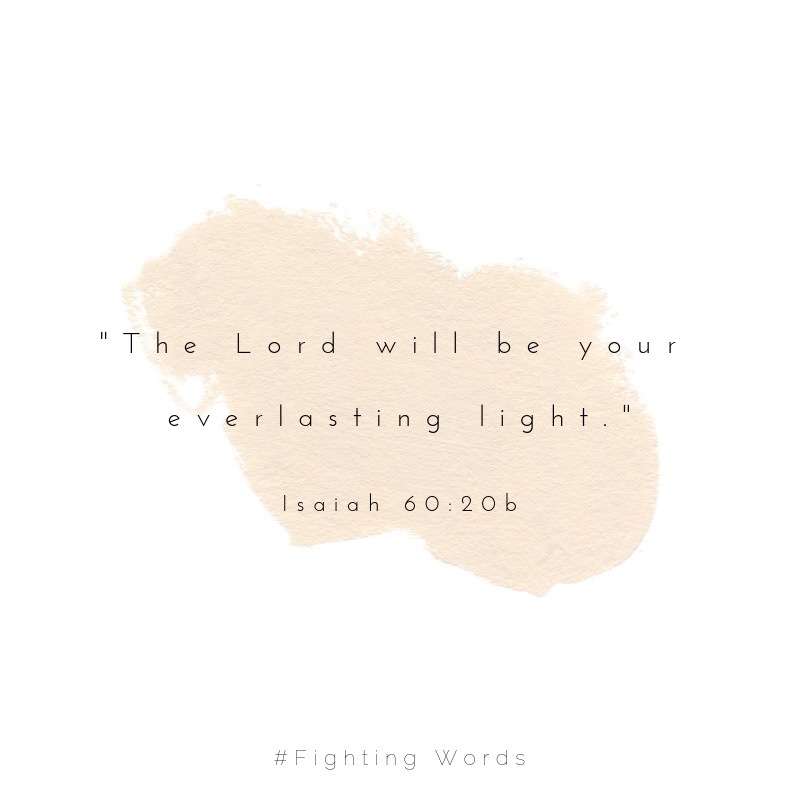 The Lord will be our everlasting light.